EuroSpa Aromatics produces the finest 100% pure Eucalyptus Oil products for both the steam room and sauna, in quantities that spas love. 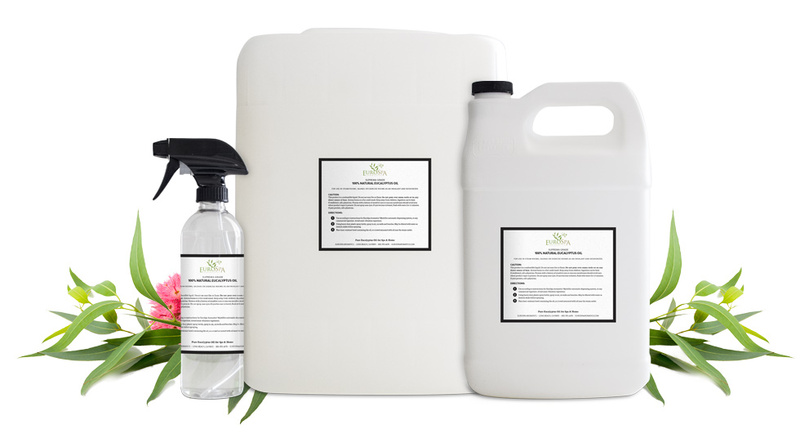 We also make commercial-sized diffusing easy with our trouble-free Mystifier injection system for the steam room. We have a total steam room solution with Pure Eucalyptus Oil in commercial sizes, variations, infusions, and custom-blended signature scents as well as our Mystifier Injection System for diffusing our oils into your steam room. Saunas also benefit from aromatherapy, so use our Menthol Crystals for a dry heat-generated aromatherapeutic vapor. Our Menthol Crystals are available in two commercial sizes and can be used in other dry areas of your spa. ShowerMists are excellent retail products that clients LOVE to take home! Our hand-crafted wood retail display showcases both 8oz and 2oz bottles. Attractive margins help turn your back room expense into front room revenues. 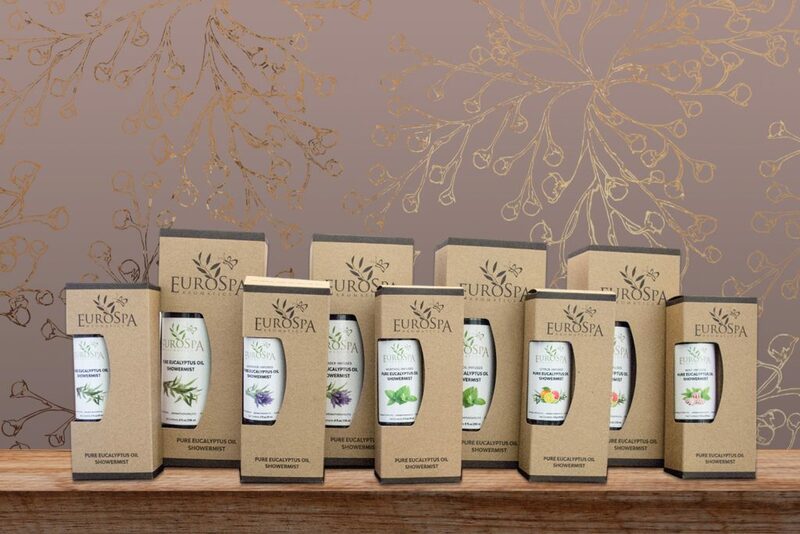 EuroSpa Aromatics oils are always natural, pure and undiluted. All of our blends are carefully formulated, using only the finest ingredients available on the world market. This means our oils smell better, last longer and go further in your steam line and sauna, ultimately saving you money, and keeping your guests healthy and happy. 100% pure pharmaceutical grade oil for the full impact of the healing and aromatic qualities of Eucalyptus. Designed for use with the EuroSpa Mystifier Programmable Automatic Steam Injection System. Or can be sprayed manually with the EuroSpa Trigger Spray System. Our pure Suprema Grade, with the addition of the soothing effects of menthol crystals, plus a light and fragrant note of citrus. This favorite is highly concentrated. Your members will receive a fresh start with this delightful aromatherapy! Designed for use with the EuroSpa Mystifier Programmable Automatic Steam Injection System. Or can be sprayed manually with the EuroSpa Trigger Spray System. EucaMist is a less concentrated version of our Suprema Grade. This ready-to-use product will meet the “smell test” of your most demanding user. Designed for use with the EuroSpa Mystifier Programmable Automatic Steam Injection System. Or can be sprayed manually with the EuroSpa Trigger Spray System. Take advantage of our manufacturing abilities to create a signature scent for your spa. Contact us to discuss how a scent personalized to your spa can benefit your brand. The most reliable and trouble-free steam room diffusion system on the market today. The MYSTIFIER series of injection systems was developed in response to numerous requests from our customers seeking to eliminate hand spraying. The evolution of the MYSTIFIER series has been a process of which we are ultimately proud, as it has become the most reliable and trouble free system of its kind on the market today. This dispensing system provides a fully automatic method for introducing the desired strength of Eucalyptus Oil into your steam room. It is a well-engineered device, so simple to install and maintain, that there’s no need to call in outside help, as your in-house maintenance team can install it in an hour or less. The MYSTIFIER II & III are so well designed, and free of maintenance that it is not limited to use in large clubs, spas and resorts. We also readily recommend it for use in the personal steam room of your home. Whether you want just a touch (adjustable down to two drops per minute) for ambiance, or have an objectionable odor you need to knock out and desire a greater amount of vapor in the atmosphere, the MYSTIFIER II & III will easily serve your needs. The advantages over hand spraying are many and significant, particularly in clubs, spas and resorts, where you don’t know whose hands the spray bottle will be in. With automatic injection, all the Eucalyptus Oil is vaporized before it ever reaches the steam room, never leaving a residue on surfaces, which can be an irritant to delicate skin. We stand behind our MYSTIFIER systems with a 12 month warranty, voided only by the use of other oils, because we cannot be certain exactly what they actually contain, and we know that there are oils on the market containing industrial solvents and fillers which can damage any machine, not to mention your lungs. So if you use our pure and natural Eucalyptus Oils, your system will be under a 12 month limited warranty for parts and labor. Full phone support for installation and maintenance during normal business hours is a part of the service included upon purchase. Visit our Technical Support page for videos on installation and maintenance of the Mystifier Injection system. The scent of eucalyptus is variously described as woody-sweet, cooling, refreshing, energizing, fresh, pleasing and revitalizing. No wonder it has been the choice aromatic for steam rooms for centuries. Combine the sensory pleasing effects with the health and cleansing benefits of our pure oil blend and you have a guest-pleasing combination worth the modest cost. 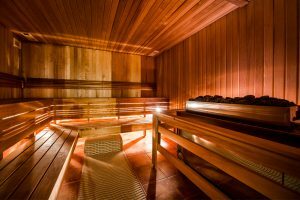 Mildew and mold and their associated smells are frowned upon as a part of the spa experience. 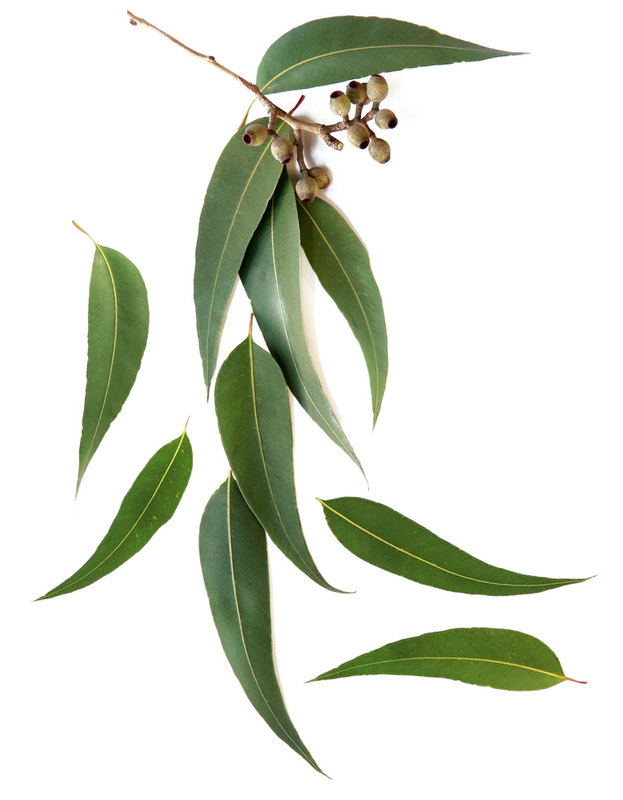 Steam-borne eucalyptus oil wipes out bacteria and microbes before they can get a foothold in your steam room. No longer will grout-destroying chemicals be necessary to keep the steam room clean and odor-free. Classy steam rooms don’t have plastic spray bottles, sponges in a bowl, or wilted leaves as the delivery system for eucalyptus. All are messy, require close attention, generally use cheap oils and are inefficient. 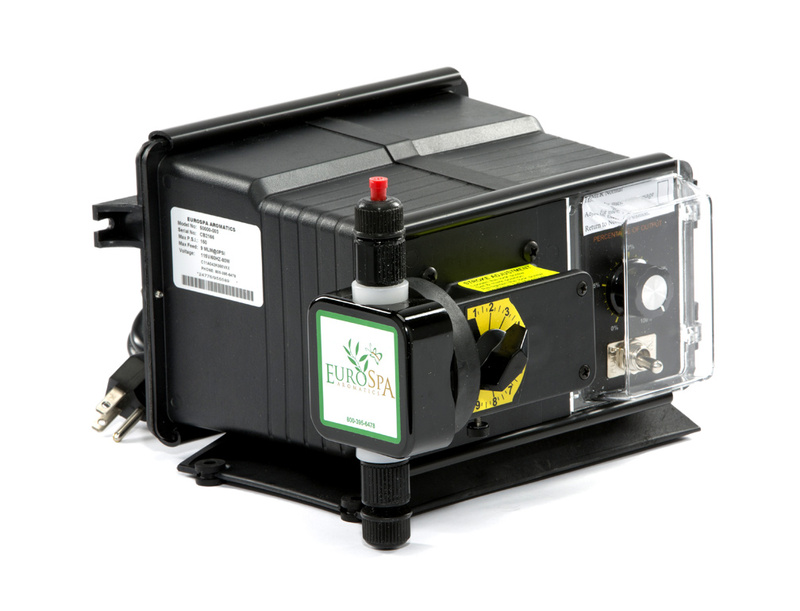 A EuroSpa Aromatics Mystifier automatic injection system economically resolves all those issues. 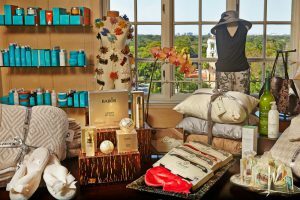 Ready to start shopping for your spa? Register now for wholesale access or call us at 1-800-395-6478 and our customer service team will set you up with an account. Existing customers please contact us for the new shop access if you haven’t received our email with the new link. EuroSpa Aromatics invites those with a sauna to try our pure natural Menthol crystals for dry heat areas of the spa. Pure Natural Menthol crystals can be placed in a small container near the heat source in your sauna or steam room or placed in a metal bowl in direct contact with the heat source. You can also scatter them between the wooden slats on the floor of the sauna. The beneficial vapors will rise into the warmth of the room. Pure natural Menthol crystals can also be used in “candle warmer” devices in individual treatment rooms. EuroSpa Aromatics Menthol Crystals are available in commercial-sized 5lb and 1lb containers. Help your guests take your five-star spa experience home to their showers with our Pure Eucalyptus Oil and ShowerMist infusions. 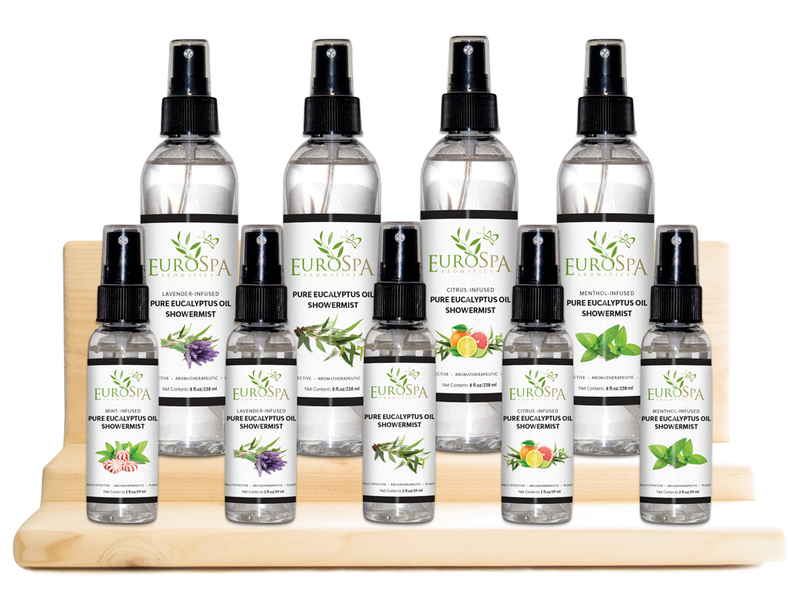 EuroSpa Aromatics ShowerMist is an excellent retail product that clients LOVE to take home! Now, home showers can become a five-star resort spa experience with only a few sprays of our pure Eucalyptus Oil. For spas with a steam room, a handy rack card can be easily displayed outside the steam room, so guests will see that the exhilarating aroma of our pure Eucalyptus Oil in the steam room is available for them to take home from your retail boutique. The 2oz bottle of our ShowerMist is perfect for travelers as it meets TSA requirements for carry-on liquids. The 8oz economy size will deliver more than 1500 sprays in a home shower! When used to freshen a treatment room, keep a steam room fresh or eliminating sauna odors, Eucalyptus Oil is very appealing to most guests. They may comment how much they like the fresh, crisp Eucalyptus scent — it’s then very easy to direct them to the hand-crafted wood display where they can purchase either an 8oz or 2oz spray bottle to take home. Your guests will have a fond memory of your spa each time they enjoy a Eucalyptus Oil infused shower at home. Sales are easy, re-orders even easier! Margins are very attractive and help turn your back room expense into front room revenues.